This weekend in Warsaw, we celebrated our own kind of Oktoberfest at the inaugural Warsaw Beer Festival (Warszawski Festival Piwa). The festival featured draft beer from more than 80 breweries totaling 150 different kinds of beer as well as beer being sold in bottles. 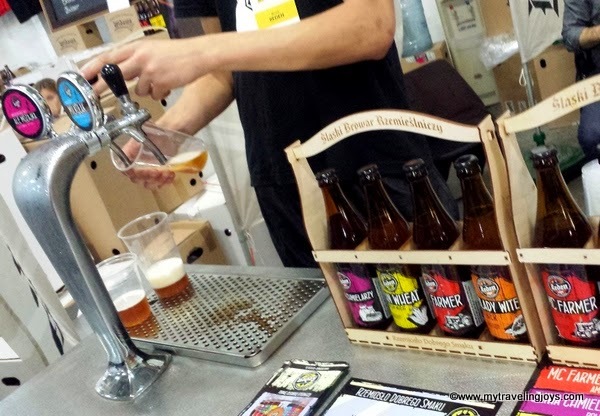 The majority of the craft beer was from Poland as well as Norway, USA, Czech Republic, Slovakia, Denmark, United Kingdom, Austria, Germany, Ireland and Belgium. 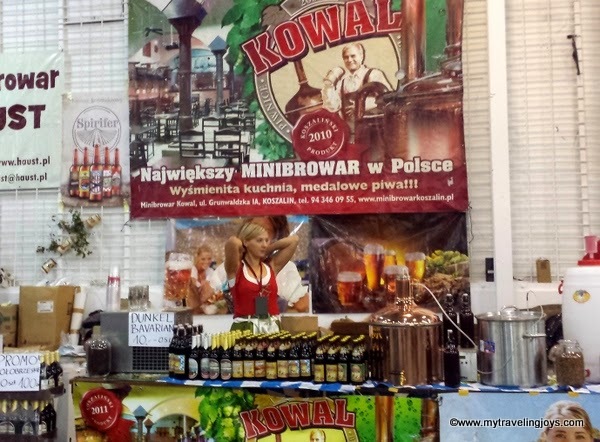 This festive event was organized by the Mazowiecki Branch of the Polish Association of Domestic Brewers (Mazowiecki Oddział Polskiego Stowarzyszenia Piwowarów Domowych). 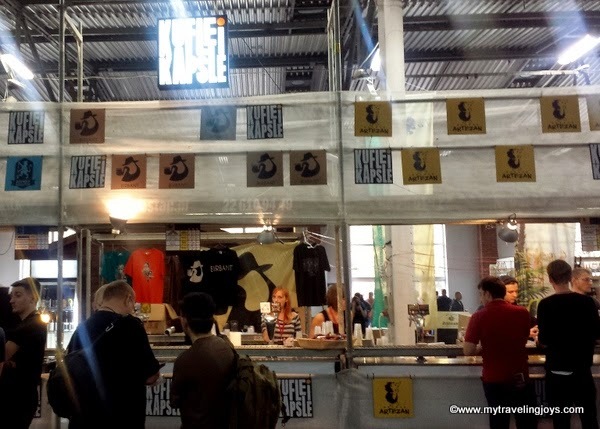 It seems like Poland is experiencing a boom in craft beer, especially after reading this recent Warsaw Insider article, with a new brewery and two contract breweries launching each month. 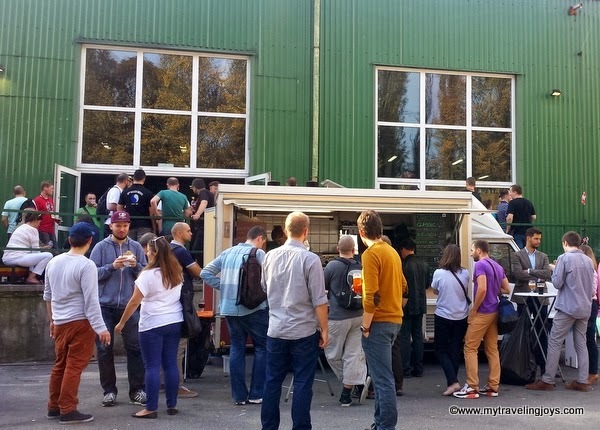 We’ve personally seen several new bars featuring local and international IPAs (my favorite), Pale Ales, lagers and stouts on tap since we moved to Warsaw in April 2013. Just a month after our arrival, Cuda na Kiju, Warsaw’s first multi-tap bar, opened on Nowy Świat with 16 beers on tap. This is our go-to place to grab a pint after a bike ride and sit outside in the courtyard of the former Communist Party Headquarters building. It’s certainly ironic to sip a craft beer surrounded by Varsovian hipsters in this locale. 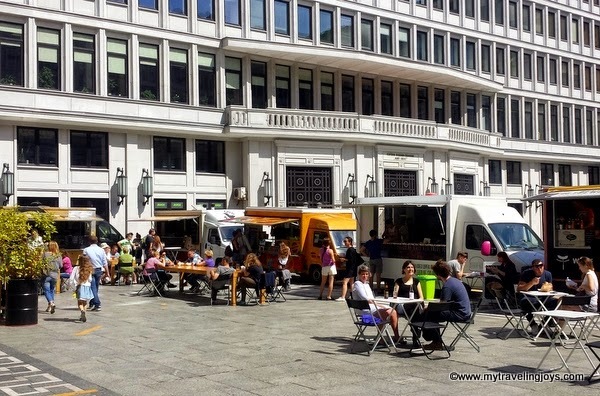 A food truck festival held at Cuda na Kiju earlier this summer in Warsaw. Another favorite of ours, Kufle i Kapsule, also opened last summer and was featured at the festival. We first tried a new IPA from the colorful taps at Reden by Browar Rzemieślniczy, and it was perfectly hoppy just the way we like it. Then, there was a sort of strange Czech black lager called Skreconsky Zabak Černé 13°, not one of our favorites. 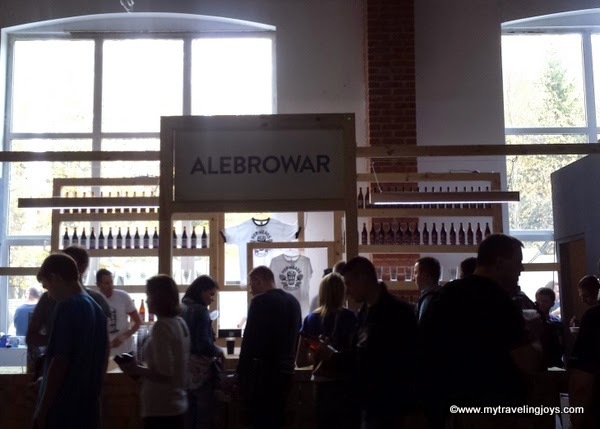 But Alebrowar had a fun stand set up where we tried one of our favorite Polish beers called Rowing Jack, an IPA brewed by Browar Gosciszewo. Of course, not all the beers were winners. 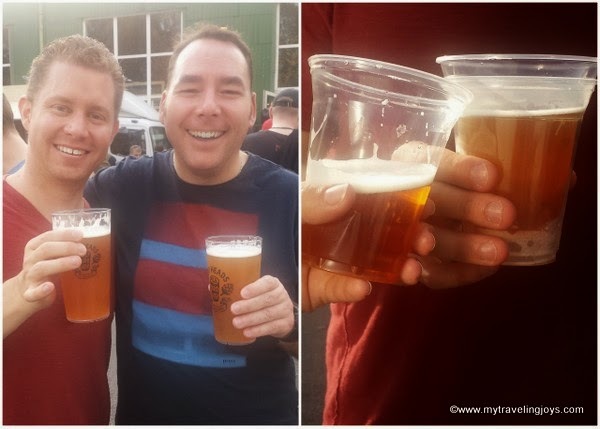 We tried a Belgian raspberry beer – too fruity – and another IPA that was too hoppy and slightly smoky. Overall, we enjoyed the beer festival with some friends and their children (kept fairly quiet with beer stickers and colored markers) on what was a perfect Indian summer day. The only disappointing thing was the lack of seating. No one wants to stand around for four hours drinking beer. Friends don't let friends drink alone. The festival offered a wide variety of beers like these. Let’s hope the beer revolution in Poland continues to grow. We’re happy to support this movement and hope to see the beer festival return next year! Chmielarnia, another multi-tap bar in Warsaw, strangely serves really good Indian food. The butter chicken was delicious! I love that Warsaw has fully embraced the food truck trend! 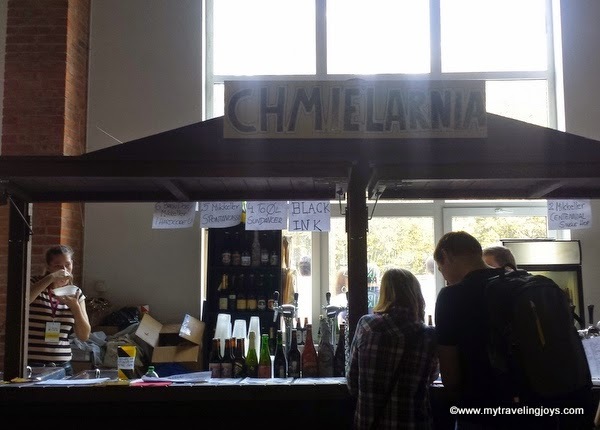 Another Polish mini-brewery at the beer festival. Turkey isn't really a beer loving country so I'm not holding my breath for a similar event here. 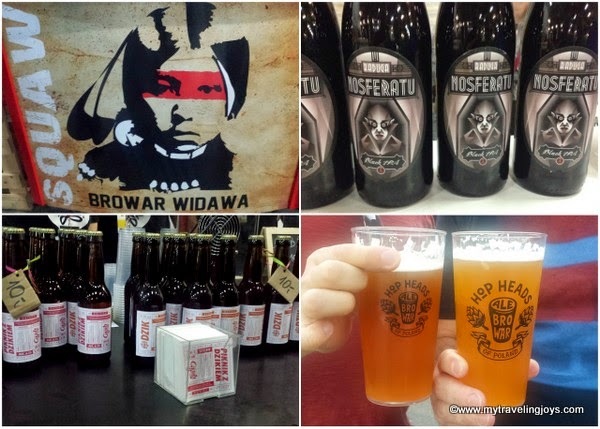 What is a good store around Warsaw to buy some craft bottles to take home? And some of the best to try? @Annie, best to hang onto the alcohol you got before it's all taken away by the powers that be in Turkey! Hi! There's a new beer store called Piwny Kolektw at Połczynska 42 in the Bemowo district. Another one is located at the corner of Jana Pawła and Anielewicza streets. Sign says like "200...piwo". Piwo is beer in Polish. Unfortunately, the main grocery stores carry more mainstream Polish beers. I know Piw Paw sells some beer in growlers too. I'd much rather go to your type of Octoberfest, Octoberfest in Münich basically features one type of beer and each beer you get is a mini-bathtub. It goes flat before I reach the bottom, and - although one is not allowed to say that - I find it pretty uninteresting. Now, a place like yours, on the other hand... Love it! Fingers crossed it is on again next year.